Brick flooring has been used for centuries in homes, in offices, as sidewalks and streets, and for buildings. The demand for the look of brick flooring is enough that brick pattern laminate flooring was created for people who wanted the look without having the rough texture and challenge of cleaning actual brick flooring. 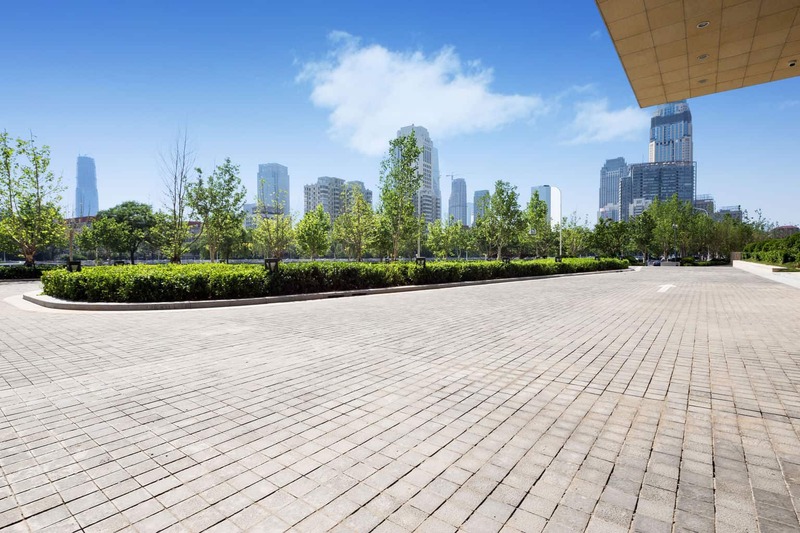 Why is Brick Flooring Widely Preferred? 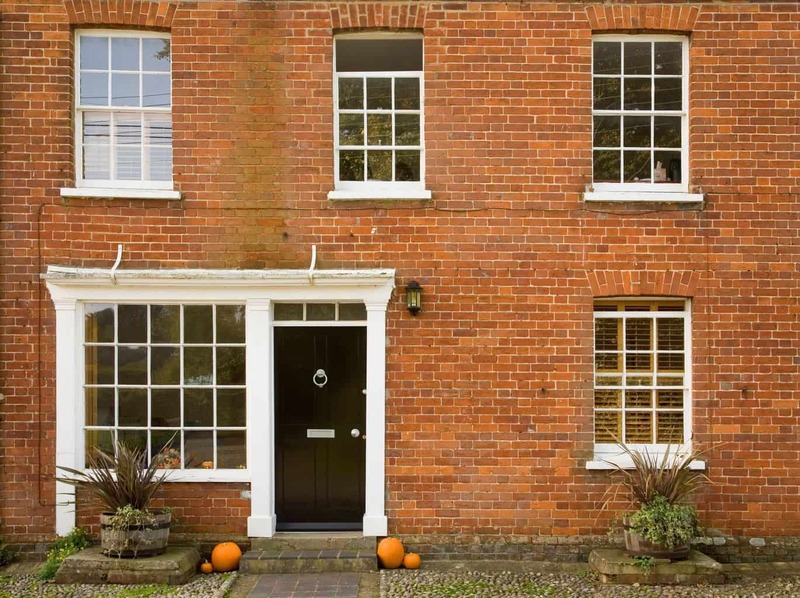 Bricks can create almost any look in your home, from casually elegant to practical and welcoming. Brick floors are easy to care for and exceptionally durable. Since you can lay brick in any number of patterns, you can create a high-design, one of a kind look for your home. A lot of people opt for brick flooring these days due to the multiple possibilities it brings to the table. Fade-Resistant: As you can tell by driving through any town in any state, bricks maintain their beauty in the face of sun exposure. Brick homes and buildings do not fade in the sun, and neither will your brick floors. 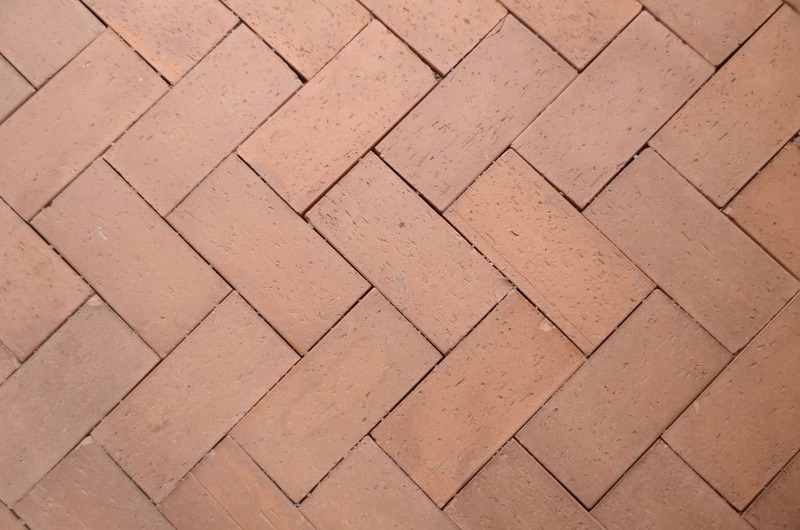 Fire-Retardant: Brick is a natural flooring option that, like stone, is fire retardant. This makes brick flooring a great choice for homes, especially in the kitchen. If the idea of a home fire worries you, consider brick flooring to alleviate some of that worry. Durability: Brick resists wear and tear much better for much longer than most flooring options; certainly much longer than options like hardwoods or carpeting. Roads have been paved with bricks, monuments have been built with bricks, and if you choose brick flooring for your home, you will find it will last for decades or longer. The Feel: Not only does brick flooring provide an anti-slip surface, but brick stays cool in warmer weather and holds in heat in colder weather. While bricks themselves are rough, interior brick floors are sealed and therefore much smoother than what you may imagine. While incredibly durable, brick floors actually have a surprisingly soft feel underfoot. The Look: This is, of course, the greatest advantage to brick flooring. The beautiful, rustic textures and warm coloring of the floors make brick a homey choice that can range from elegant to rough-hewn. While brick floors are inexpensive, they still manage to exude a special kind of sophistication and vintage appeal that make brick flooring a really special choice for the home. Installation: While installing brick flooring is possible for anyone, it really is recommended that you find a professional who has experience installing interior brick floors, which can be more of a challenge in some areas or if your budget does not allow for hiring a professional. Maintenance: While cleaning and maintaining brick floors is not necessarily more difficult than with any other flooring option, it does require special considerations, especially when selecting cleaning solutions or when dealing with repairs. 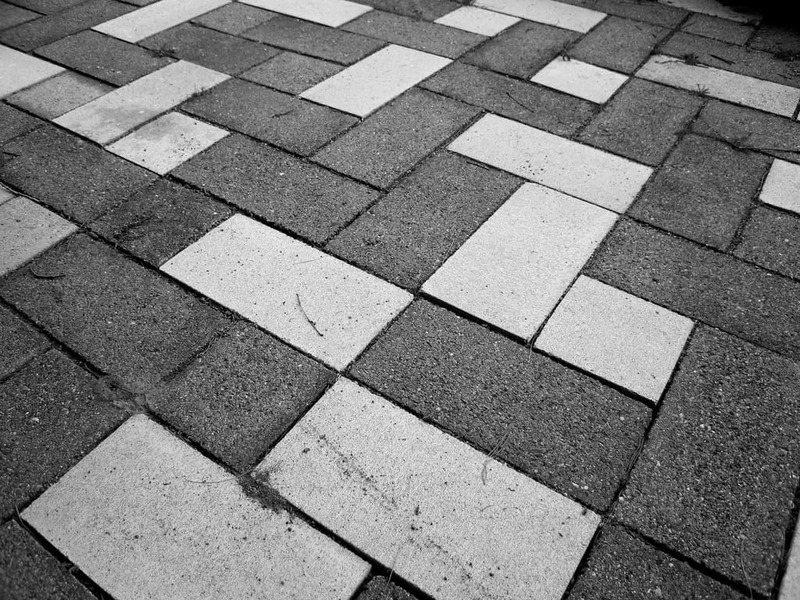 Uneven Surface: If installed incorrectly or on an uneven or not solid foundation, brick floors can become uneven. Rough Texture: While interior brick floors are typically sealed, making them significantly smoother, unsealed brick can be rough, especially at any edges. Interior brick flooring is made by combining finely ground clays, shale and raw materials to produce hard surfaces. The materials are pressed, cut, and fired in a kiln at high temperatures. The result is thin brick flooring tiles that have the durability and beauty of brick and the convenience of tile flooring. Most manufacturers will apply a sealant or a chemical mixture after firing to seal the porous brick surface to make cleaning easier. Most brick floors will have to be resealed after installation to ensure they are easy to clean. One will note that there is a huge importance placed on the ability to clean the brick flooring post installation. This can especially be noted in the case of brick pattern laminate flooring, where the challenge of cleaning brick flooring is adequately addressed. Laminate flooring suppliers, such as Lumber Liquidators, offer laminate flooring in a wide range of styles and colors, mimicking all types of traditional flooring but offering the ease of cleaning and maintenance in tandem with the low price that has come to make laminate such a popular choice for homeowners. A brick flooring interior can be not only attractive but also quite durable. Brick floors vary widely in hardness, depending on the actual combinations of materials that go into their production. 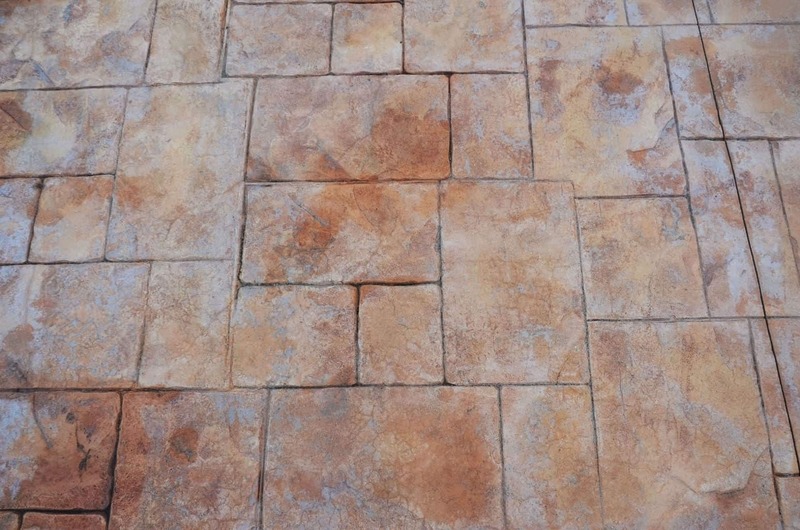 Brick floor tiles that have been made from poorer-quality or coarser-ground materials are more porous, softer, and more likely to chip and crack. Higher-quality brick tiles have a hardness comparable to some ceramic tiles, especially when sealed or treated. In general, customers can often find brick tile floors with a Measurement of Hardness (MOH) rating that is 5 or 6. Installing exterior brick flooring is not such a difficult task in theory. 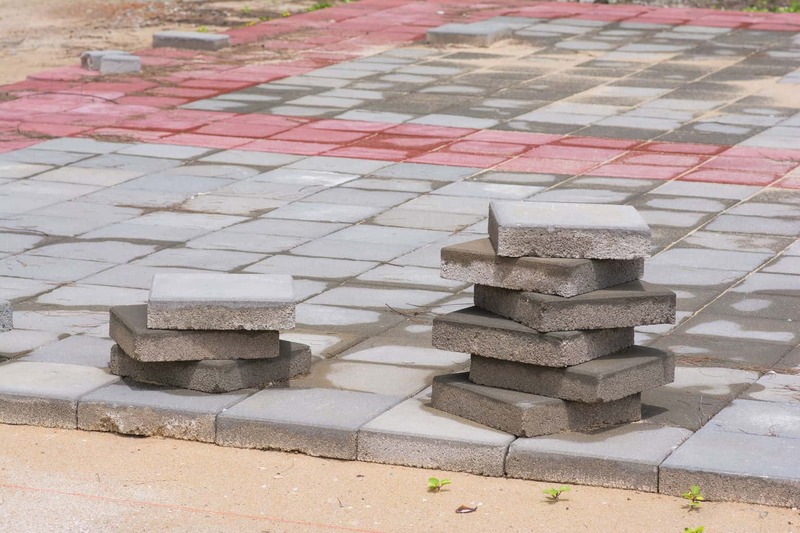 With a bit of practice, one can lay brick flooring without any professional help. However, when laying interior brick or laying pavers in a congested space, or if you have to remove existing flooring prior to laying the brick, it is recommended that you seek expert help. Hiring a professional is the best way to head off any potential trouble, which can save you a lot of headache in the future. Interior brick floors can be both challenging and time-consuming to install. While the determined and patient do-it-yourselfer can install interior brick floors, most customers are generally better off reserving the project for professionals. Generally, it is advised to seal the interior brick flooring after installation. Without a sealant, interior brick flooring may be more prone to chipping and harder to clean than other types of flooring. But installing and sealing brick flooring uses lots of chemicals. Consequently, you should hire the work out and arrange to be gone until the floors are completely finished and the house has been well-ventilated. Brick floors have been trusted throughout history as practical and durable flooring options. Bricks are in fact considered humanity’s oldest manufactured building material. They have been used since 1330 BC for walls, roads, monuments, floors, and other crucial building projects. When you make the choice to use brick flooring, you are choosing a truly historical and well-established option for your home. As the vintage and classic style has made a resurgence in popularity these days, more people are lead to install brick flooring in their homes. Brick floors can sometimes be rough and uneven, however. To avoid this, some customers select brick pattern laminate or vinyl flooring. Brick vinyl flooring provides a smooth and durable surface, while still retaining the beauty of natural brick. Additionally, installing laminate or vinyl flooring tiles is a comparatively simple practice that can be tackled by any DIY-er with a little patience and preparation. While quality laminate and vinyl options mimic beautifully the look of brick flooring, it is impossible for anything to really compare with the feel of brick, so if this is part of the draw for you, laminate and vinyl options really will not be able to compete with the real thing. Despite the few disadvantages, indoor brick flooring is still a good choice. Thin, high quality brick flooring makes for a beautiful and lasting floor for almost any room of the house. Cleaning brick flooring is generally quite simple, as most brick floors are treated and glazed. To clean these floors, a mop or broom is all that is needed. Brick floors can also be vacuumed. If you are determined to do-it-yourself for your brick flooring installation, it is possible with a little perseverance and determination. Try practicing on a smaller scale before attempting your actual home project. Check out the short video below on brick flooring installation for a quick overview of the process. Fortunately, the materials used for brick flooring are typically inexpensive enough that you can afford to adequately practice beforehand. 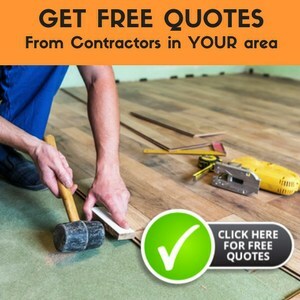 However, repairing or correcting flooring that has been done poorly can become more expensive, so it is worth taking the time to be sure the initial installation is done properly. By far the best advantage of brick floors, though, is their elegant durability. Bricks have been used on roads and have been used to create buildings. If brick can make long-lasting roads and buildings, you know they will stand up to years of foot traffic in your home. If you are on a tight budget and want a flooring that is durable and long lasting, then look no further than brick flooring. If you have always wanted a unique, rustic flooring option, brick flooring is a great choice. The fire-proof and fade-proof brick floor is perfect for adding years of beauty to your home, while increasing its value too. We just moved into a lovely home with brick floors. Prior to moving we had seen another home with brick floors, and the floors were very shiny and beautiful – like polyurethane on a wood floor. Our current floors are not that way. Do you know what kind of sealant or cover we could put on that would make them shine like that – and maybe seal and even them out a bit? Hi Steve, Please see my reply to Emma above. We have a sun room that has been enclosed, so the brick flooring is real bricks. The morter between the bricks has, in places, started to wear out, or come missing. In addition to that, there was a carpet pad that had been glued to the bricks – we put some floor stipper on the glue and then used a wire brush to remove the residue. Now I’m wondering how to get the floor to a solid state. If I add morter, should I remove what’s there? Do I need to reseal the entire surface after fixing the morter? Any suggestions would be much appreciated. It’s hard to assess the situation without seeing the floor. I would suggest you contact a professional that can help you determine the best course of action. Something like Earthscapes or naturcor or any high quality vinal or laminat flooring that looks like used brick. Any suggestions? I have been trying to find RED BRICK PATTERN OR STONE PATTERN LINOLEUM, VINYL, ETC. FOR YEARS, AND CANNOT FIND IT ANYWHERE. CAN SOMEONE HELP ME? Mark, this may be for you. It’s not red enough for me. Hope this all comes out. Hi. I do not know of a supplier. I would suggest calling a local home center, and if they do not have one available, they may be able to point you to someone who does. Also, many home centers can order products and have catalogs you can go through and pick, even if the item is not in stock. Thanks for sharing that information with Mark! Something to keep in mind is that unlike linoleum, vinyl is a petrochemical product that off gasses. Without knowing what is on the brick, it is really hard to say what to use to remove it. I would start by testing a small area, and see if vinegar and removes it, and if not, move up to a mild cleaner, then ammonia. You could also try asking a brick mason in your area to offer suggestions on both these questions. I would consider using the water-based Diamond Coat Varathane Polyurethane when recovering the floor. We’re purchasing a 1986-built reproductdion Williamsburg colonial home with brick floors in the kitchen, breakfast area, laundry room and mud room. The floor is beautiful, clean, etc. but very uneven. Is there any way to smooth it down so it looks and, most importantly, feels like it’s been walked on for two hundred years?